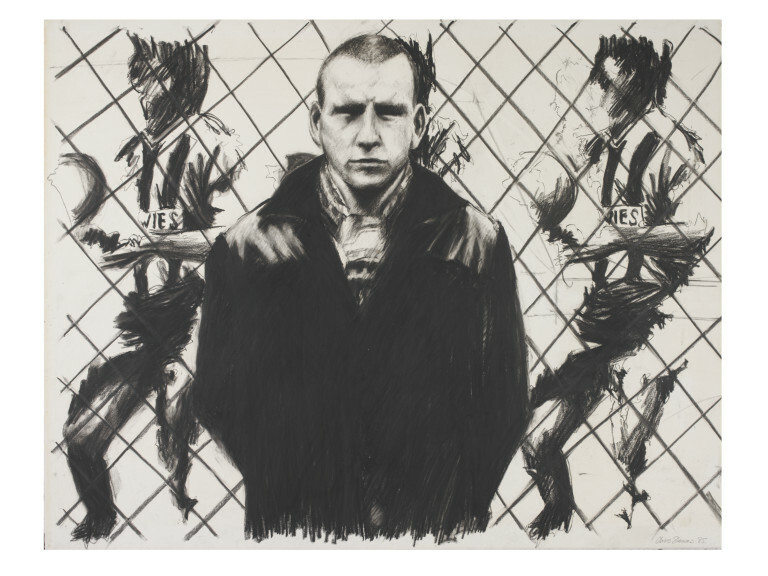 Chris Stevens was artist-in-residence at Sunderland Football Club in the season 1983-4. He produced various paintings and drawings of the supporters and the players. Many of the images are menacing, showing the latent violence in some aspects of the game and its supporters. 1985 was the year of the Heysel Stadium disaster when 39 people were killed in a riot between Liverpool and Juventus supporters. There was a resurgence of interest in figurative art in the 1980s and this drawing is typical of that period. It uses a traditional technique to illustrate a modern and disturbing theme. 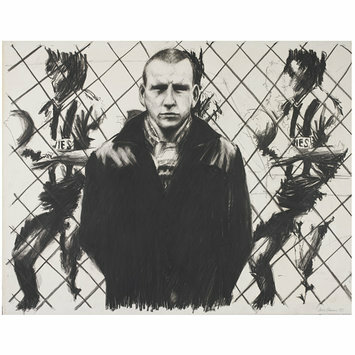 A black chalk drawing of a Sunderland football supporter, standing in front of a mesh with two cut-outs of footballers. 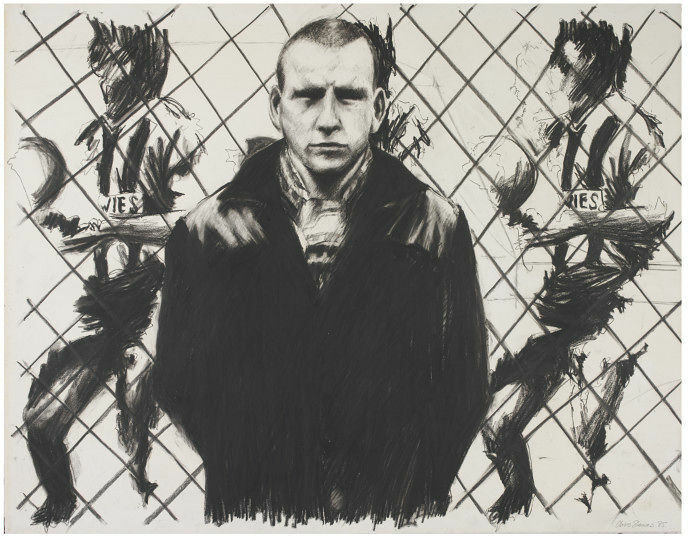 'Ignorance is Strength' - A drawing of a Sunderland football supporter, by Chris Stevens, Sunderland, 1985.